Day two offered a chance to see more of the city. 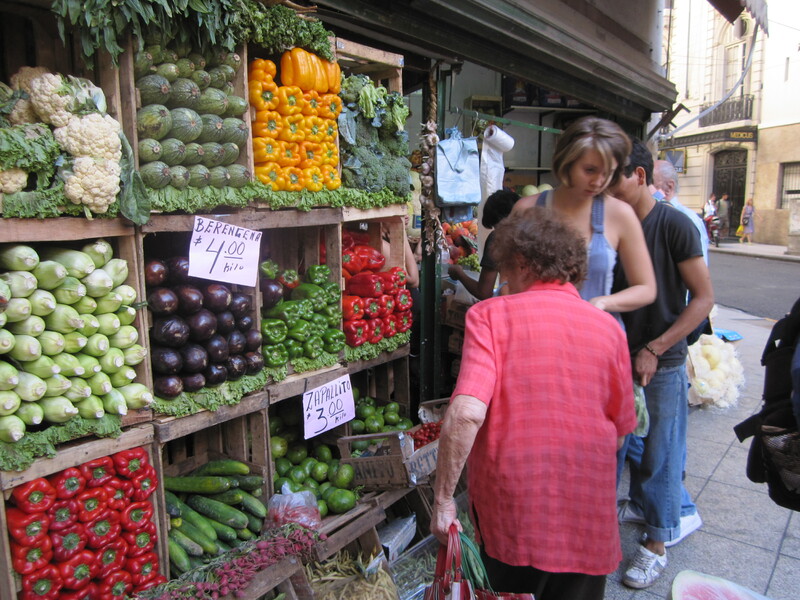 Beginning with a guided tour of the city, we made our way to the iconic neighborhood of La Boca. 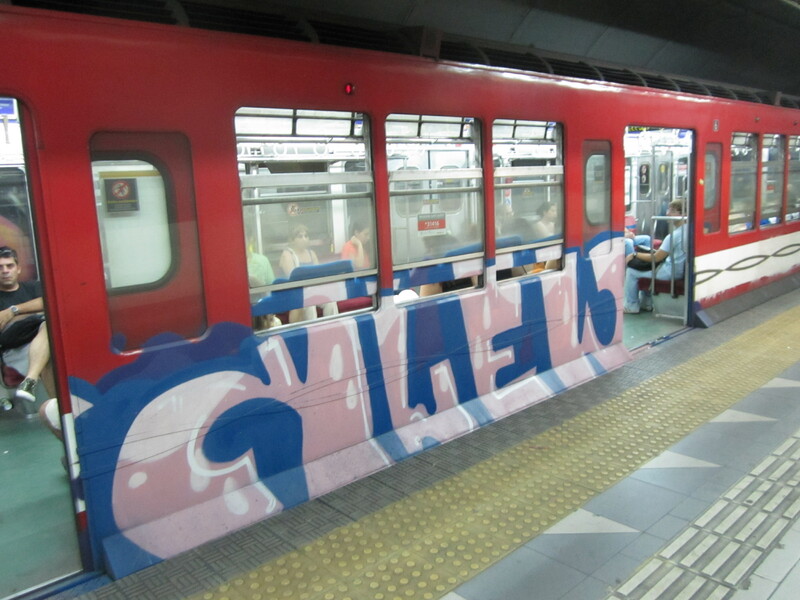 It’s the neighborhood pictured in almost anything advertising Buenos Aires. In fact, I think this picture is the same as on Mizzou’s study abroad website. However, day two didn’t come without it’s struggles. Being orientation day, we had to make our way to get a cell phone and metro card. As we were buying the cell phones however, we discovered the carrier, Movistar, had crashed and we wouldn’t be able to activate our phones for another day. It wasn’t a big deal, but it certainly would have made splitting up easier. Splitting up would be a good idea if you’re in a big group because many of the cafe’s and restaurants aren’t made for groups larger than four. 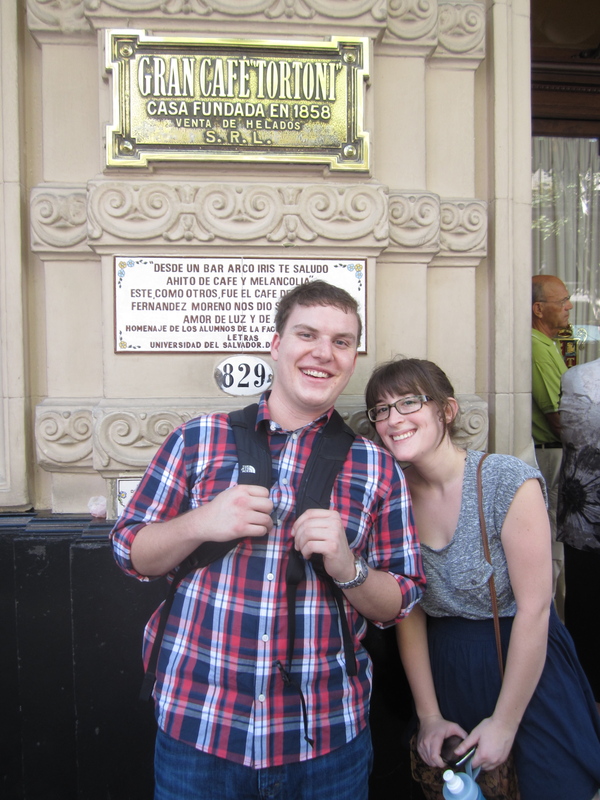 After learning our cell phones wouldn’t work, we tried to get pesos from the Citi Bank ATM. only to learn those too, had gone out of service. I call it the Gringo curse. 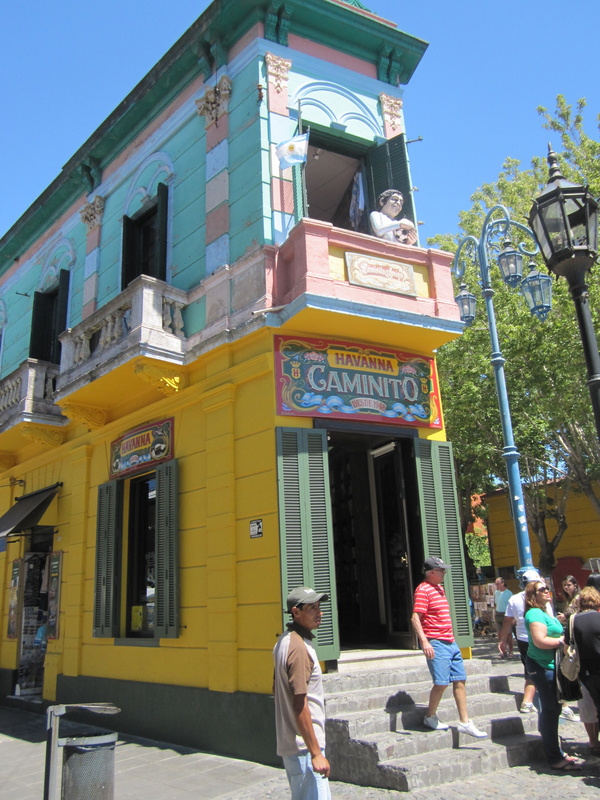 One of the highlights of the day though was the Cafe Tortoni, Buenos Aires’ most famous Tango show and cafe. We didn’t see a show but sat down and enjoyed a glass of wine. 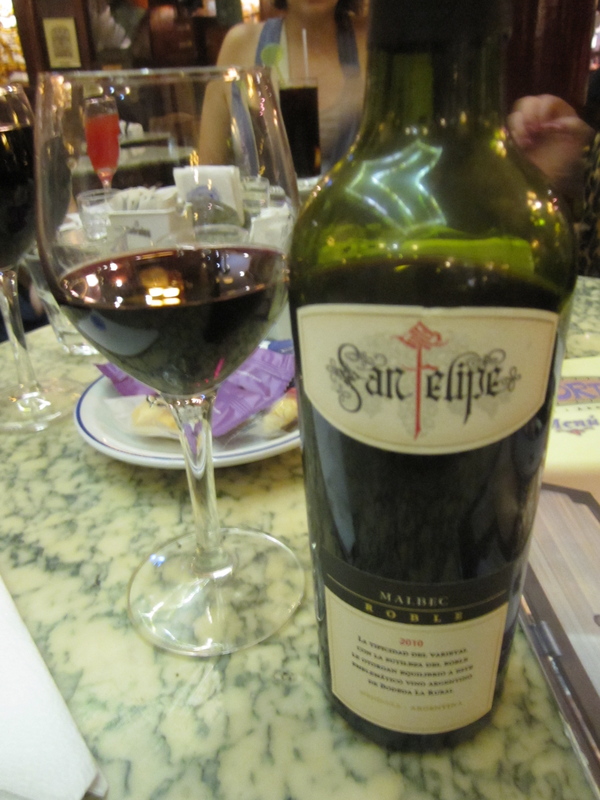 I finally had a glass of Malbec since landing. The most impressive thing was ending up taking every mode of public transportation (Taxi, bus and subway). Taxis are the quickest and relatively cheap. I would recommend them but only if you can stand to watch the driving. I had what I thought was the luxury of sitting shotgun in the cab, only to realize you get an up close and personal driving experience. I’m pretty sure my stomach turned a few too many times on that ride. 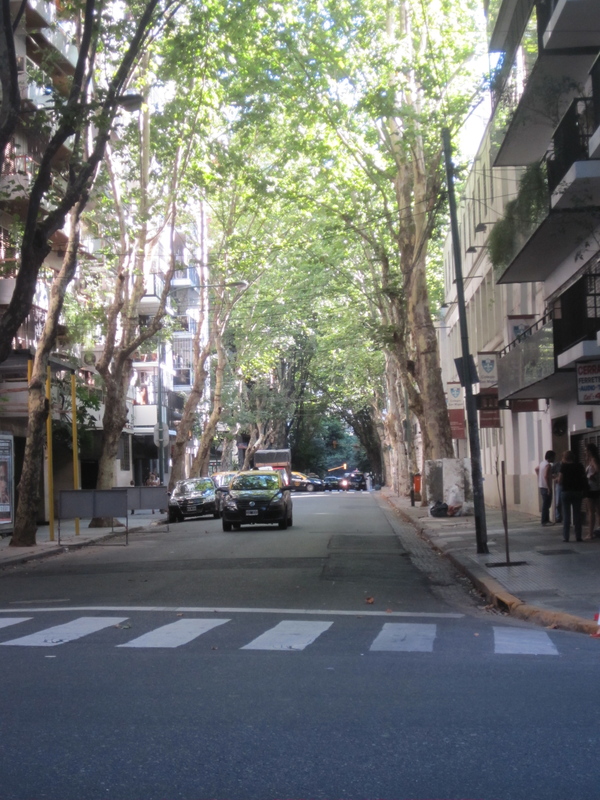 Lane lines seem to be more of a suggestion to drivers in Buenos Aires instead of a commandment. Motorcycles have their own lanes, they ride on the painted “lanes” and swerve in and out of traffic. My suggestion, don’t drive in Buenos Aires. It’s just too easy to get around otherwise. This entry was posted in Argentina by Raymond Howze. Bookmark the permalink. Keep writing these, Ray. I’m sure you’ll be busy, but keep writing these. It sure is European! Is it also 92 degrees? We’re about to have the first big snow of the season. We’re so unused to it that they’re encouraging everyone to stay inside and batten down the hatches. Miss you! You and Ashley are alive! So glad to see those punims. Hope you guys are loving it so far!